Caitlyn is joined by HuffPost Associate Fashion editor Michelle Persad to break down the best fashion at the 71st Annual Golden Globe Awards! Caitlyn is joined by HuffPost Associate Fashion editor Michelle Persad to break down the worst fashion at the 71st Annual Golden Globe Awards! 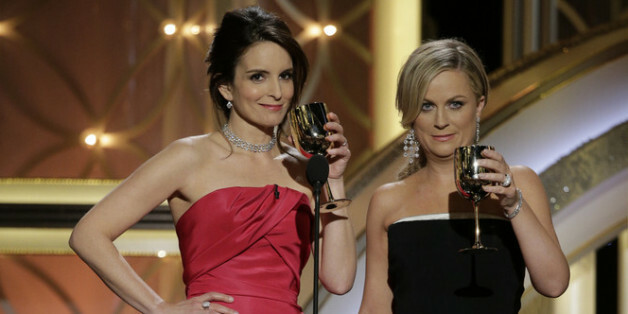 The Golden Globes are probably the most light-hearted of the major motion picture or television kudos. So we've come to expect less poignancy from winners at this show than compared to the Academy Awards. Allison Williams shows her dress off on E! 's glam cam. Sofia Vergara looks as glamorous as ever in her black Zac Posen "tent." Margot Robbie is stunning in white on the red carpet.